Update: This promo code doesn’t seem to be working at the moment. We’ll update you again when it’s back up and running. 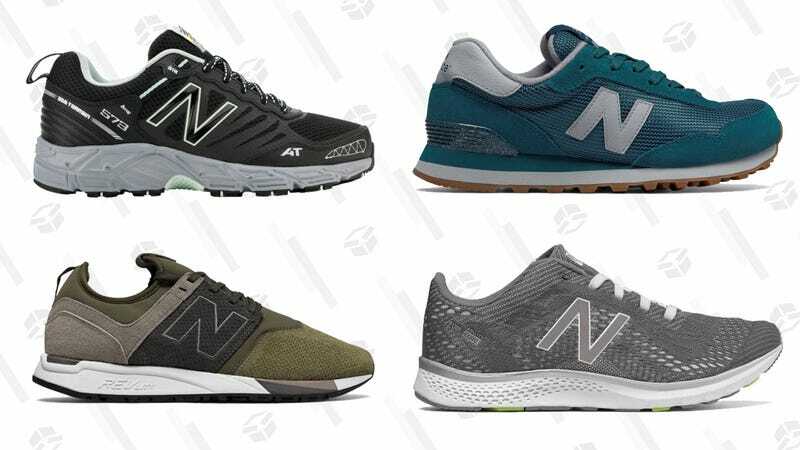 Here’s a sneaker deal so good, it might just knock you off balance: This weekend, when you buy one pair of New Balance sneakers from Joe’s New Balance Outlet, you’ll get a second pair (of equal or lesser value) for free. Just be sure to use promo code KINJABOGO to slide your feet into a brand new free pair of sneaks. But wait, there’s more: This deal will stack with the outlet’s ongoing 30% off running shoes promotion. So yeah, it’s a BOGO sale worth sprinting to take advantage of.